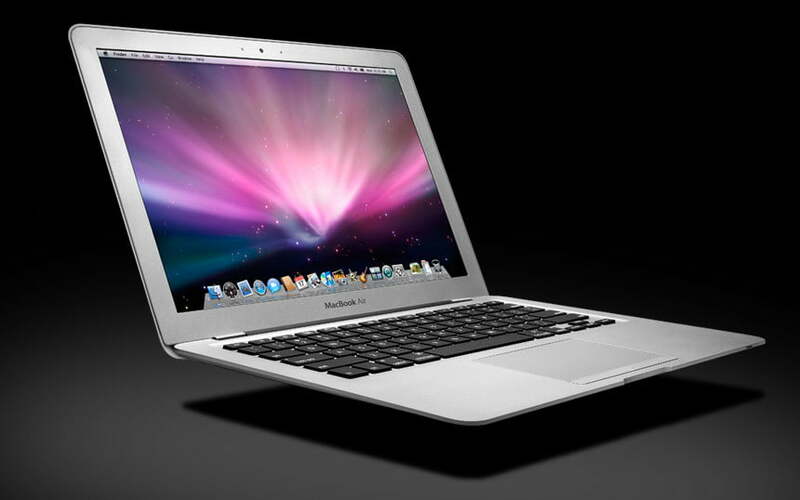 MacBook Air rumor roundup: Sandy Bridge, Thunderbolt, and back to black? It’s become evident in the last month or so that an update to Apple’s popular MacBook Air laptops is likely just around the corner. Releasing newer, updated models around this time of year would be in keeping with the company’s prior patterns, and rumors have been coming at us left and right. Something else that has bolstered these rumors is the fact that Best Buy is no longer shipping the most popular MacBook Air models. The most expensive version of the laptop is still available, and the computers can be purchased in-store, but it’s pretty clear that Best Buy is trying to clear out its stock of MacBook Airs, meaning that they must be expecting to receive updated models in the very near future. The update seems like more of an inevitability now than a rumor, but there are still no concrete details on what improvements and changes to expect. While we won’t know for sure until the official announcement, we’ve rounded up some of the rumors on what the new MacBook Airs might have in store. The most pervasive rumor about the new MacBook Air models is that they will all include the latest-generation Intel CPUs, which use the “Sandy Bridge” platform. The second-generation of Intel’s Core i-series processors are designed to use up less power as well as provide enhanced graphics and of course, speed. If none of the other rumors are true, this one seems the most likely to be included on the new machines. The other likely-to-be-true rumor floating around is that the new MacBook Air models will include Thunderbolt ports like its big brother the MacBook Pro. If you’re unfamiliar with Thunderbolt, it serves the same function as a USB port, but allows for much, much faster transfer of data. Thunderbolt ports are able to transfer data at up to 10GBps, which is pretty much lightning-speed in comparison to your typical USB port. We’ve heard several rumors that the new MacBook Airs will be available in a black finish, but we’ve also heard mutterings that Apple tested out the darker color and that it was nixed by the big bosses. Contrasting rumors make us think this is probably just wishful thinking and speculation, but it won’t be a shocking move either way. With the sleek aluminum body, we’re not sure who would pick a black model over the original finish anyway. With the rumor mill running strong and several legitimate hints at an imminent release, Apple fans are waiting with bated breath for an official announcement. While there have been several false alarms from faulty sources in the past couple weeks, many think that Apple won’t release the new MacBook Airs until they can be preloaded with the new Mac OS X Lion. The launch date for the new operating system is set for sometime in July, so we’re expecting that the new Macbook Air models will start shipping soon or immediately after the Lion launch. There has been talk about Apple lowering the price point on the MacBook Air, but all it really amounts to is analysts debating whether that would help Apple’s market share or not. We haven’t heard any actual hints that the price will go down, so we chalk this up to analysts having fun with all the Apple speculation and coming up with things to talk about. If Steve Jobs wanted to eat into the PC market, a $799 price point (what analysts say would be the ‘sweet spot’) might do the trick, but we’re not sure that fits with Jobs objectives anyway. Since most of this is all talk, we’re expecting that the new MacBook Airs will come in at the same prices they are selling for now. While there is always potential for surprise, we expect that Apple will play it safe by introducing updated MacBook Airs, complete with Sandy Bridge processors and Thunderbolt ports, alongside the launch of Mac OS X Lion. The rest we will brush off as typical Apple speculation and rumor-generation. In the meantime, we suggest you take a look at the previews of Mac OS X Lion, because it doesn’t look like there will be any new Apple laptops today.